In 2015, I had the opportunity to travel to Panama to visit a lifelong friend, who had spent the previous 3 years serving in the Peace Corps with the Embera people of the jungle. He was in his last few months of volunteering and wanted to make one final bucket-list trip of Panama, and I was invited to join in the adventure with my backpack and camera. The highlight of our 2 week journey was to visit the remotest village of Panama, Playa Muerto. Only accessible by 20 mile hike through dense jungle or 5 hour boat ride, Playa Muerto translates roughly to ‘Death Beach’, due to its location on the pacific coast known for rough seas, hazardous jagged rocks, and general inaccessibility. A Day In Playa Muerto is a collection of photographs from the day we spent in this unique village and untouched land. The Embera people are part of a 40,000 person indigenous tribe scattered in villages throughout the jungles of Southern Panama. They are unique in their culture, arts, and language (the language/culture is not Spanish in nature but rather distinctly primitive). This collection of photographs captures many intimate portraits of the people, their culture, and the surrounding landscape that influences their life. 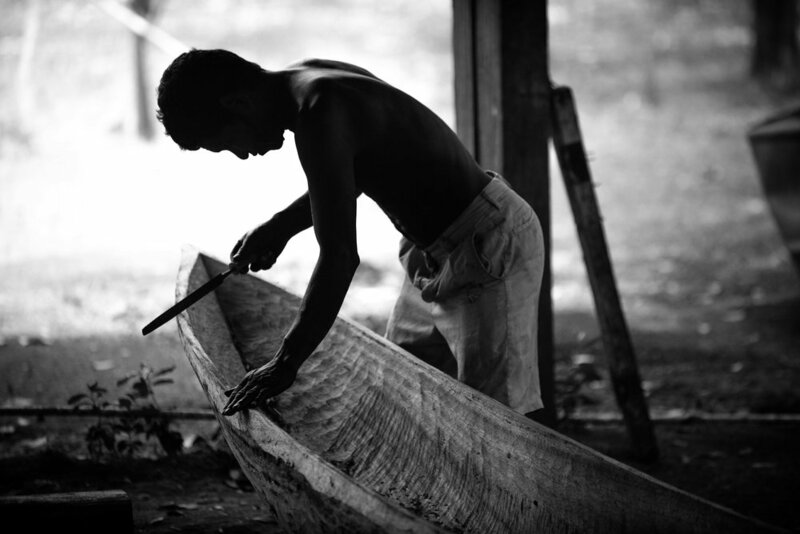 It is believed that the Embera people will no longer exist in 50 years, due to social and political pressures. It is rare to be able to visit them due to the lack of infrastructure of Southern Panama and the tribe’s distrust towards outsiders.